Did you already noticed the small difference ? 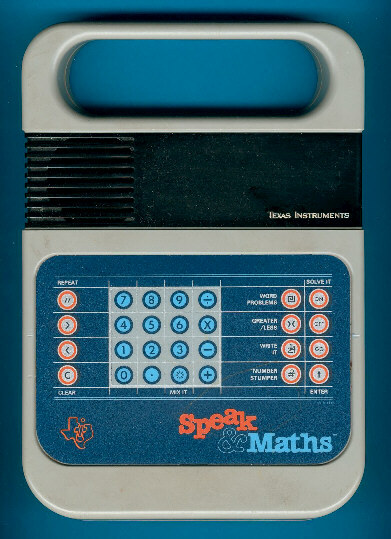 This Speak & Maths sold in the United Kingdom is 100% identical to the Speak & Math sold in the United States of America. Please notice the gold lettered "Texas Instruments" on the display screen and the large "TI" logo on the keyboard. The original products changed the logo in the year 1986. Compare yourself with a newer US Speak & Math. © Joerg Woerner, December 21, 2001. No reprints without written permission.